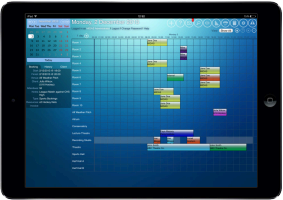 The Web Based Room Scheduling solution for your iPad! ...anywhere with spaces & resources to schedule! 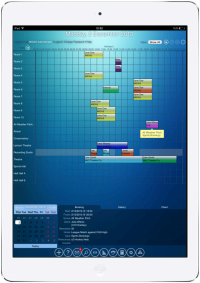 MIDAS gives you complete control over your room bookings and resource scheduling. MIDAS allows you to see at a glance when your bookings are scheduled, manage staffing and resources, send booking confirmations and invoices to clients, take booking requests through your own website, and put an end to double bookings and confusion once and for all! As all you need to access the booking system on your device is a web browser, your MIDAS booking system is readily available wherever you are! - Whether at the office, at home, or on the move - your booking information is there right at your fingertips! 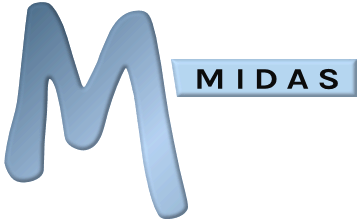 MIDAS software itself is available in both on-premises and cloud-hosted editions. Try MIDAS FREE Online Now!